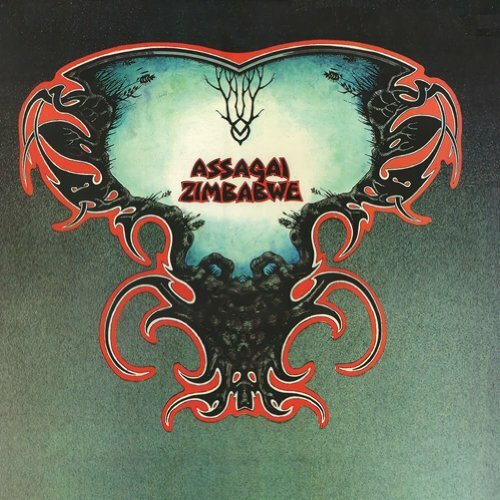 In the early 70s with the international success of Osibisa, there was plenty of record company interest in signing other expat African bands, and Assagai was the beneficiary of Vertigo’s interest, but by Zimbabwe, the second of their two releases, the band had switched to the Philips label. The members of the band were originally mostly from South Africa, and three of the members – drummer Louis Moholo, trumpeter / flautist Mongezi Feza, and alto saxophonist / pianist Dudu Pukwana had previously played with Chris McGregor in the Blue Notes in the 60s, and would also be members of McGregor’s Brotherhood of Breath from 1970 onwards, which gave Assagai a decidedly jazzy flavor. Following some personnel changes between the two albums (including the departure of guitarist and primary composer Fred Coker), the remaining members were percussionist Smiley De Jonnes, Fred Fredericks on tenor and baritone sax, Bizo Mngqikana on tenor sax, and Martha Mdenge on vocals. Also, the three members of Jade Warrior (Jon Field, Glyn Havard and Tony Duhig) were enlisted as a backing band on both of Assagai’s albums, and each member contributed one composition each to this effort. One track is credited to Pukwana, and the remaining four are credited to Mdenge. Right out of the gate, they launch into a jammin’ but jazzy version of Jade Warrior’s “Barazinbar” with the full sax and brass section leading the way, flanked by walls of conga drums. From there the album bounces back and forth between more African sounding vocal pieces by Mdenge and fiery jazz-rock tunes, the latter including Pukwana’s “Dalani” and “Kinzambi” by guitarist Tony Duhig. “La La” is a gentle pastoral vocal piece with only flute and guitar backing that evokes stillness and beauty. The ethnic flavors presented throughout this album are powerful and the balance between rock, jazz variations, and African elements work nicely to keep things interesting all the way through. A solid recommendation.